Pajero means a number of different things – In Spanish the word ‘Pajero’ means ‘Wanker’ but in the rest of the world including Mitsubishi HQ Japan, ‘Pajero’ means Mountain Lion! A mountain lion is essentially a cat and if they say that a cat has 9 lives, Kylie has lost yet another one, but by some feline stroke of luck, our old girl is back up and running once more. First, a bit of history. Sometime after buying Kylie as a knock-about run around, I discovered a few details regarding her chequered past. She has actually been written off by insurance companies on two different occasions. Once due to ‘malicious damage’ and once for ‘storm’ damage i.e. flooded. So if you are superstitious this means that 2 of the 9 lives have been spent. 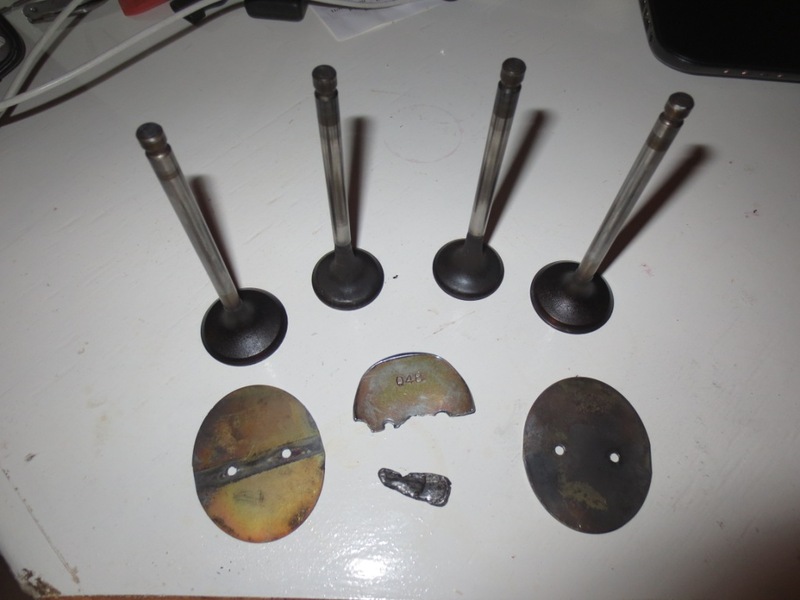 I also knew that the previous owner had blown the engine and had to get it rebuilt. Life 3 of 9 gone. I then bought the car for not much and the previous owner managed to make back the money he spent fixing the engine. I had a cheap old truck with a nearly new V6. Everyone is happy. Forward in time up to a few days ago and we were happily trundling along the corrugations towards Cape Diaz, the location of the first white European to land in this locality. As we headed across the salt pans to the cape Sophie suddenly tuned to me and said what the hell is that noise? I also heard the noise but was convinced that it was just stones bouncing up from the gravel road and hitting the chassis rails. About 500m further and a few ‘pings’ the engine just stopped. We managed to get towed back to camp, so I could look over the engine for clues as to what had gone wrong. 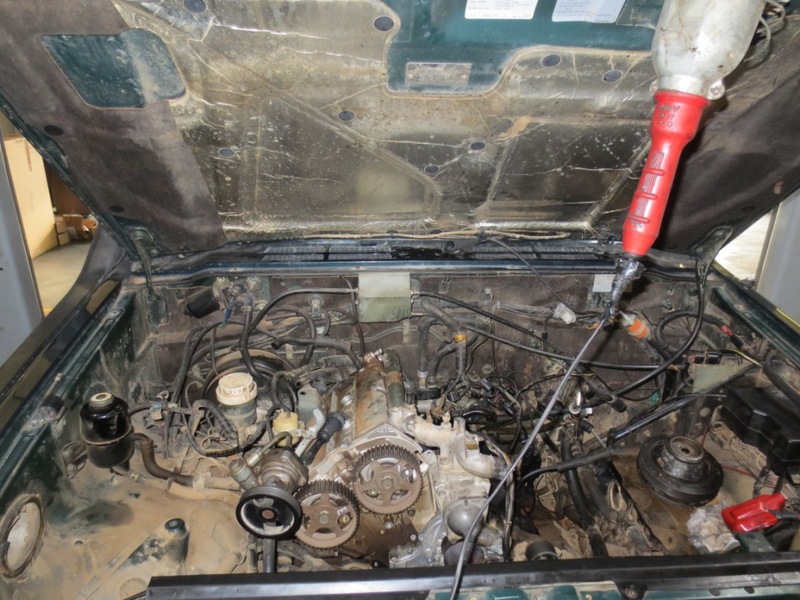 The next morning I was convinced that I had found a leak in the inlet manifold and that it could be fixed easily. 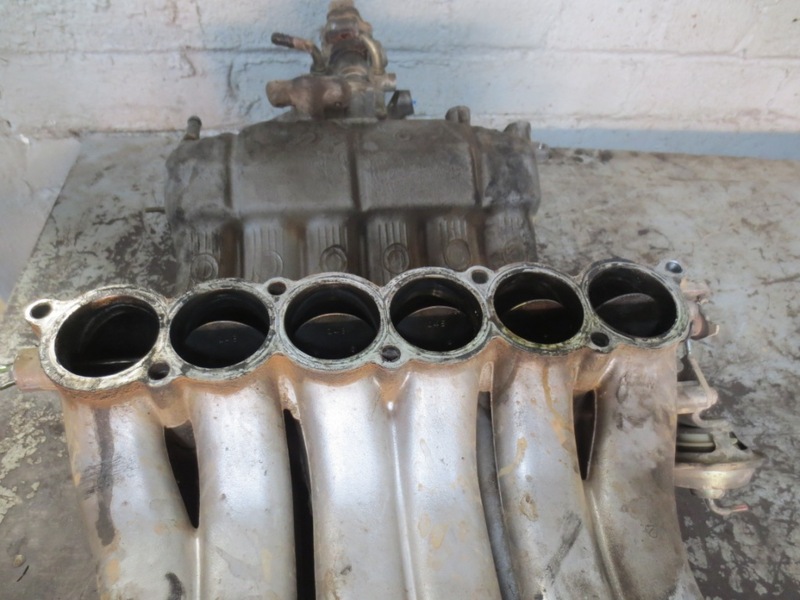 The leaking manifold would mean the air mixture entering the engine would be incorrect and as a result would not run well. We drove the spluttering Kylie to Luderitz Motors where the owner Udo said he could help us out. As his assistance was confirmed three of his mechanics tore into the failing engine. 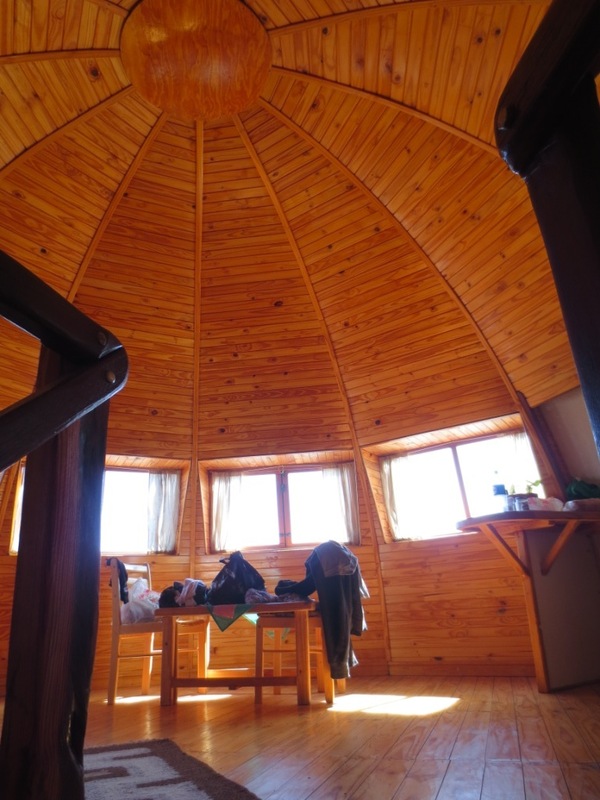 We retired to our accommodation at the igloo to jump on the web and start sourcing the parts we needed albeit not exactly brimming with confidence of a quick fix and expecting a mammoth bill. 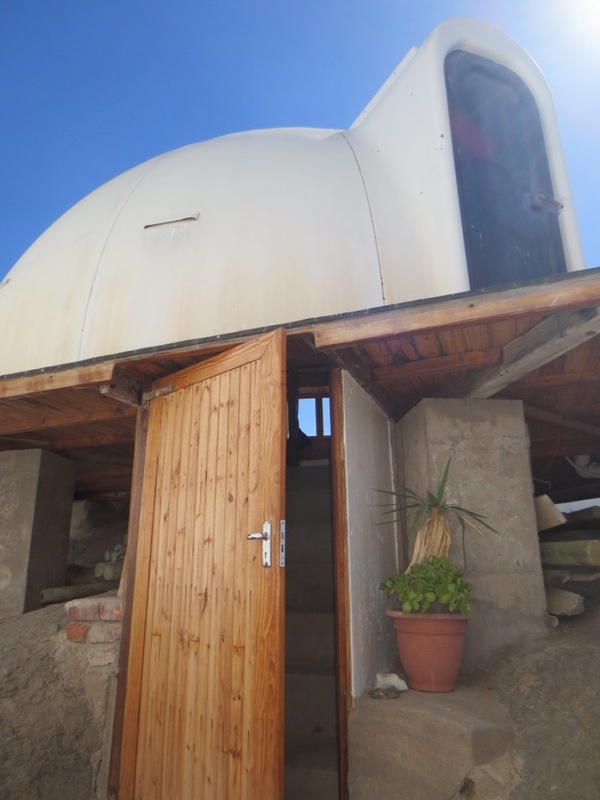 We planned to get comfy in Luderitz. While searching I contacted Alan at ANG service, aka the guys we used in Cape Town for Kylie’s service. He came up with the great suggestion that we just remove the butterfly valve system and run the engine without it. Doing this would result in a slight loss of power and torque, but the car will run. 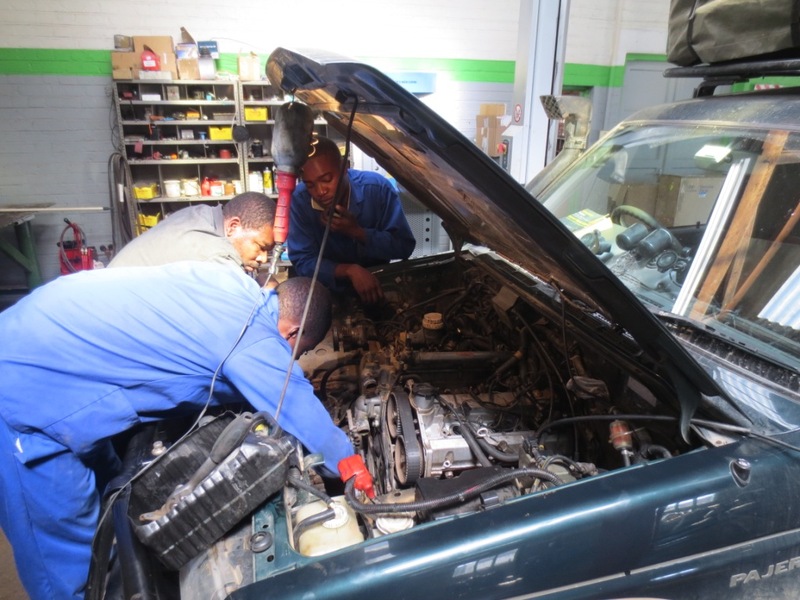 Armed with this knowledge we returned to Luderitz motors the next morning and discussed the option with Udo our mechanic. He agreed that this fix should work and he was happy to give it a go. So with no immediate need to replace the manifold system and butterfly valves we just had to get a new set of piston valves. This didn’t seem too bad and I guessed we would be back on track in a week or so. Sophie and I popped out for a coffee and a walk round town. On the way back to the igloo we called into the garage again to get some more items from the car. As I walked in, Udo met us and in his calm manner said ‘I almost finished’. By some miracle Udo told us that he actually had valves form a partly refurbished Kia motor out the back of the workshop. Kia used the same 6G74 motor in their cars until recently. In the pile of tractor and lorry motors was an exact match for Kylie’s motor, albeit a lot newer and many less klms. 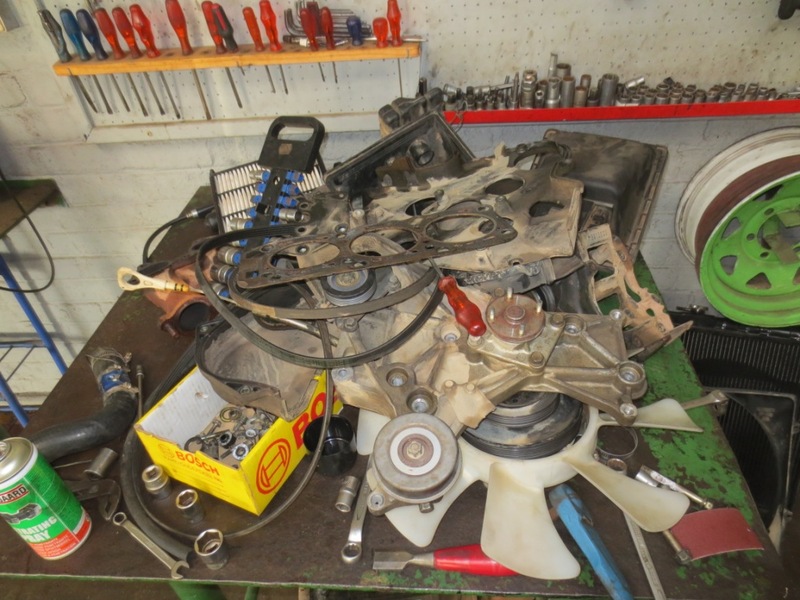 Having followed the advice of the Bradt guide to ‘Africa Overland’ we also carried a full engine gasket set so with this and the valves for the Kia I couldn’t believe our luck! We had everything we needed for the repair. So today we picked up Kylie. Still in shock that the repair was completed in less than 2days and the parts we needed just happened to be ‘out the back’, we were still concerned as to whether the engine would run when pieced all back together – but it does and the difference in power is hardly noticeable. Tomorrow we hit the road and hopefully that will be last of the bad luck for a while, fingers crossed Kylie doesn’t lose another life on the way home! Thank you to everyone who has sent us messages of support and offered to help – it’s been so great having you all there behind us, willing and encouraging us through what has been quite a rollercoaster – we really appreciate having you with us! Onwards and Upwards – for real this time. WOW, you guys struck a bit of luck there. And that in Lüderitz where the pavements are folded up at 6 in the evening. I wish you well on the African leg and that Kylie doesnt loose another life. Oh man hope that’s it, and you guys can get on with a trouble free journey. Were thinking of ya! We found that no matter what vehicle you take at some point it’s your turn to face the mechanical gremlins….although true that LR drivers get their fair share!